Semper Phantasticus explores that most avant-garde mode of music-making among German composers of the 17th and early 18th centuries, with extravagant works for violin, viola da gamba, and harpsichord. All three instruments are featured individually and in combination on this program, in sonatas by Dietrich Buxtehude and Heinrich Ignaz Franz Biber, two of best-known exponents of the “fantastical style,” alongside free works by free works by August Kerzinger, Philipp Heinrich Erlebach, Antonio Bertali, Michelangelo Rossi, and Johann Sebastian Bach. *NOTE: Season Subscribers will receive a special “subscribers discount” on any, or all, of this season’s three Special Event programs. Please contact the box office for your discount code. SFEMS members receive the largest discounts! Members save 15% off the list price of individual ticket orders. Not a member yet? Join now and save on all your ticket purchases! Founded in 1998 by harpsichordist and conductor Matthew Dirst, Ars Lyrica Houston presents a diverse array of music from the 17th and 18th centuries on period instruments. 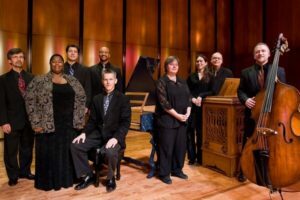 Its local subscription series, according to the Houston Chronicle, “sets the agenda” for early music in Houston and it also appears regularly at major festivals and conferences, including the 2014 Berkeley Early Music Festival & Exhibition. Ars Lyrica’s distinctive programming favors Baroque dramatic and chamber works, and its pioneering efforts have won international acclaim: the ensemble’s world première recording of Johann Adolf Hasse’s Marc’Antonio e Cleopatra, hailed by Early Music America as “a thrilling performance that glows in its quieter moments and sparkles with vitality,” was nominated for a Grammy Award® for Best Opera 2011. Ars Lyrica Founder & Artistic Director Matthew Dirst is the first American musician to win major international prizes in both organ and harpsichord, including the American Guild of Organists National Young Artist Competition (1990) and the Warsaw International Harpsichord Competition (1993). Widely admired for his stylish playing and conducting, the Dallas Morning News recently praised his “clear and evocative conducting” of Handel’s Alexander’s Feast, which “yielded a performance as irresistibly lively as it was stylish.” Dirst’s recordings with Ars Lyrica have earned a Grammy nomination and widespread critical acclaim. 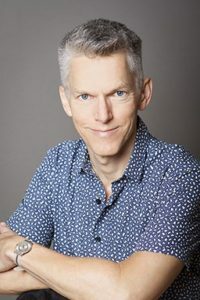 His degrees include a PhD in musicology from Stanford University and the prix de virtuosité in both organ and harpsichord from the Conservatoire National de Reuil-Malmaison, France, where he spent two years as a Fulbright scholar. Equally active as a scholar and as an organist, Dirst is Professor of Music at the Moores School of Music, University of Houston, and Organist at St Philip Presbyterian Church in Houston. His book Engaging Bach: The Keyboard Legacy from Marpurg to Mendelssohn was published by Cambridge University Press in 2012. He is also the editor of Bach and the Organ, which appears in the Bach Perspectives series from the University of Illinois Press in early 2016.